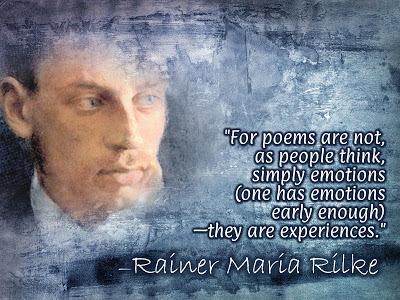 Poetry is a way to express feelings. Poetry rhymes, it’s for girls, it’s boring. 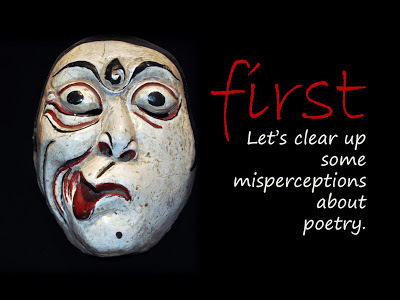 Writing poetry is not part of the new standards, no can do. I like reading poetry, but I’m no poet. Poetry is something we do after the testing, so can you come visit our school in June? We hear these arguments all the time, from teachers whose own education consisted of serial lessons in the follies of perfect form (points off for downbeat dyslexia) and “what does this really mean,” intimidation. From welcoming principals who smile indulgently as if a visiting poet is something akin to birthday cupcakes, a useless indulgence inducing real school work interruptus. From curriculum directors who aren’t necessarily poetry adverse but have been benchmarked into scripts and graphs that only track the results of timed bubble tests and not careful or critical thinking. 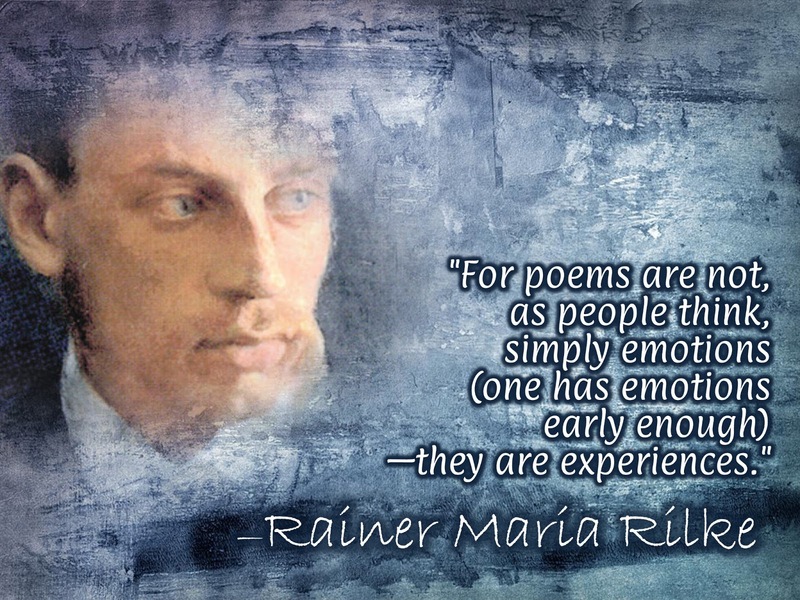 Poetry is about experiences. And that means the experiences we have in a flower strewn meadow, inner city street corner, kitchen table, or science or math class. 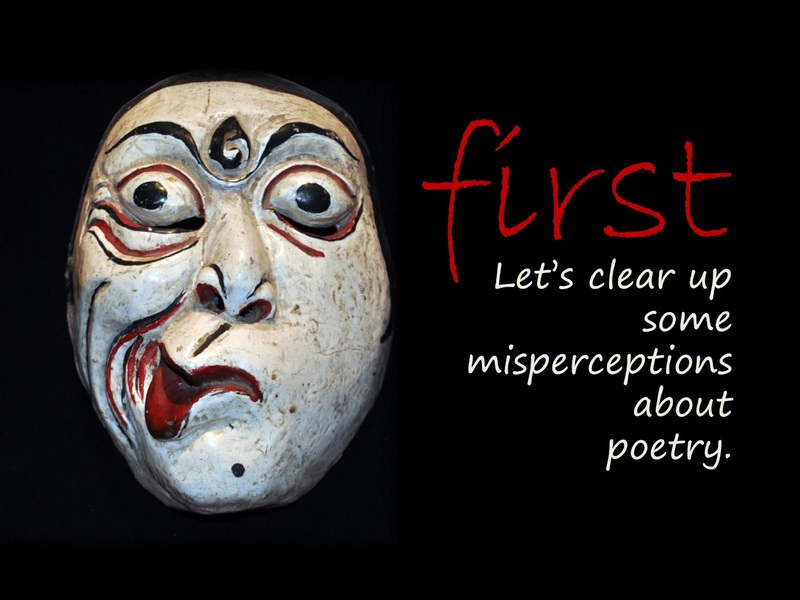 In order to write a poem we have to look at a subject carefully and contextually. We have to think about it. Poetry can take a lot of different forms, but it is definitely not a cupcake. Poetry is the water and flour. Here here! Poetry is as vital as blood. You know it, Michael knows it, I know it and a good hunk of others know it as well. What we have to keep doing is spreading it so others can see the vitality as well. To paraphrase a 1960's TV show … this is our mission and we choose to accept it. In the name of humanity and of all the others who have come before us dedicating their lives for the same mission. Esbensen, McCord, Worth, Kuskin, Cedering, Fisher, Ciardi, Brooks, Clifton, Hughes, Farjeon, etc.